Hi all sailor`s. The 2016 state titles to be held at Loch Sport on March 12th to 14th,if you looking to book a camp site at the caravan park here are same details LOCH SPORT CARAVAN PARK 1 Charlies street Loch Sport. phone 51460264. www.lochsportcaravanpark.com. I have spoken to the manager and asked if he could reserve some sites all together next to the boat club,the answer was to book early as it`s a long weekend and they all ready have booking for that weekend.So i hope to see you all in March. Daniel and i are booked in! We've booked a caravan site at Loch Sport and also a unit at Port Vincent (as couldn't get a camp site there). As others have said, the time to book these places is now; if you leave it too long you will miss out. Would really help out a small country club (LSBC) if you pre enter. Don't have to pay early, just click on the Entry link above and let them know you are coming. Look forward to seeing you all in less than 2 weeks. Well the temp forecast is looking ok, Goldy Locks, not too hot not too cold . The wind forecast is another matter, but at least the Yabby Pond sailors will feel at home . 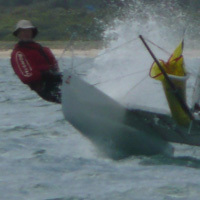 Typical all the sailing I have done on the Lakes since the Nationals has been in 15 knots plus, so much for practice . If your coming to the Vic State Titles, don't forget to get those online entries in, helps save committee members rigging time on Saturday and as Loch Sport doesn't have a major supermarket helps the club to have an idea for catering (food and drink). Don't forget as well as the Saturday Night Dinner (included in the entry fee), there is a BBQ Sunday Night. Never mind lunch and brekkies available. Also when you packing don't forget the insect repellent, afterall Loch Sport is the home of Mosquito's in Vic and if the Mossies don't get you the March Flies will . With the largest number of pre-entries for Vic States ever,looks like it's going to be a big one. 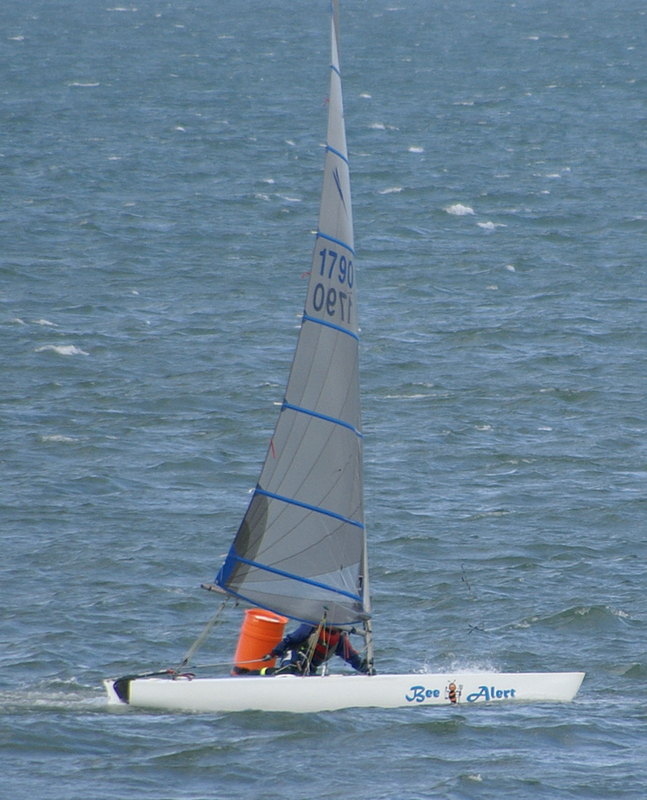 Fantastic to see so many Sloop entries, keep your fingers crossed for the wind. Quite a few are going to make it to Loch Sport by tonight, so it looks like party at Commodore Pete's Place Time to start the handicapping could be a big session.